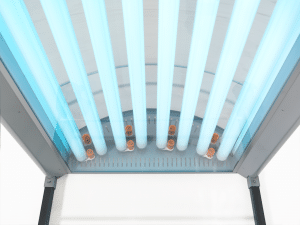 treatments especially in small spaces. The device is designed for maximum precision and highest safety. A dynamic sensor system enables absolutely safe and accurate delivery of the intended dose. Operation is easy and simple while allowing effective treatment of localized areas and whole body treatments. Big rubber casters even let you move the device in between treatments. 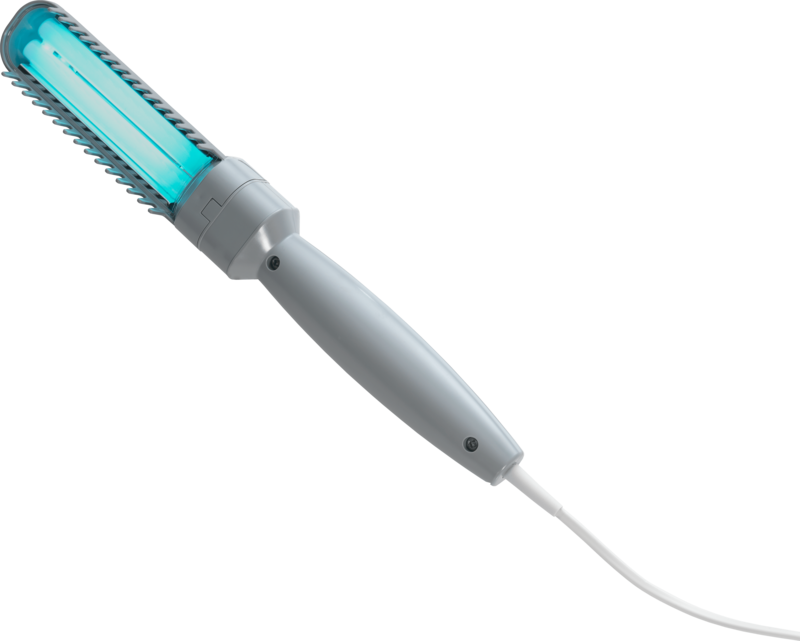 n its product class, the OCTAderm is the only device on the market equipped with a real sensor-guided dosimetry. 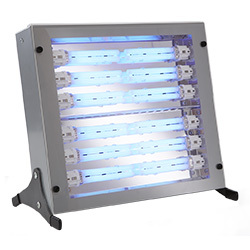 It is equipped with eight UV tubes (UVB 311nm or UVA) protected behind a transparent acrylic plate for easy cleaning. 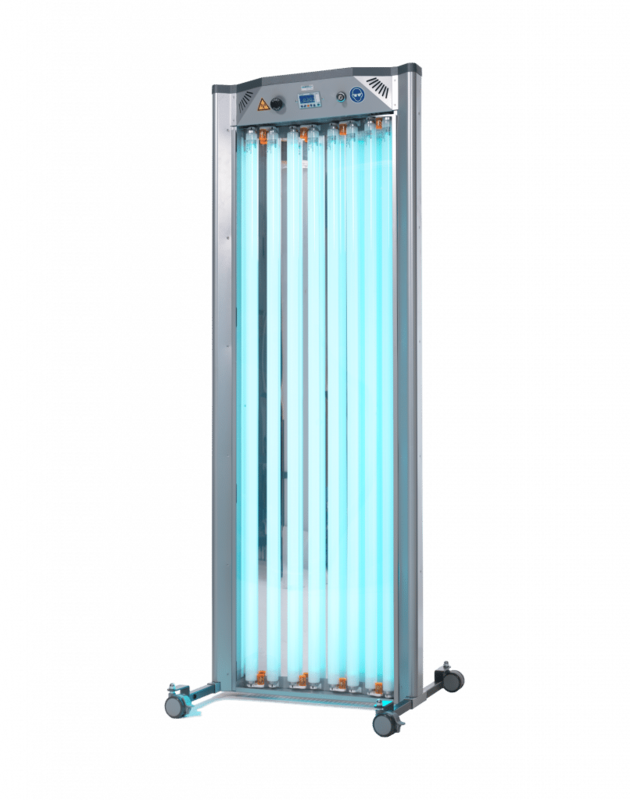 A high-quality polished aluminum reflector increases the efficiency and gentle electronic starters ensure for a long service life of the UV tubes, which are positioned close to the floor, significantly improving therapy results for the lower legs. The OCTAderm can only be operated via a key switch to prevent unauthorized use. Individual presetting of dose limits and therapy programs can easily be programmed according to the customer’s preference. Large rubber casters simplify the handling and transportation during daily use and no tools are needed for assembly. UV- Goggles and other accessories can be stored in the lid of the device keeping things tidy and always close at hand. OCTAderm is the perfect whole body home therapy unit.